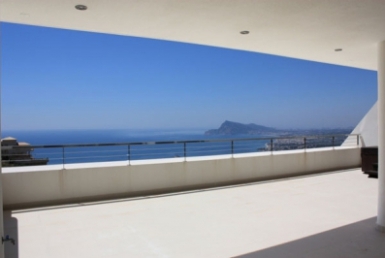 EXCLUSIVE DUPLEX WITH NICE VIEWS TO THE SEA AND TO THE MOUNTAIN, SITUATED IN A QUIET AREA OF ALTEA HILLS. Exclusive Duplex, bright, spacious and with spectacular views of the mountains and the sea. Located in ALTEA HILLS that has private security 24 hours. Gated complex, very quiet area with green areas and community pool. Located just 4 km from the AP-7 motorway and 8 km from Altea and Calpe. SPECTACULAR LUXURY APARTMENT, MODERN DESIGN WITH INCREDIBLE VIEWS TO THE SEA AND TO THE MOUNTAIN. 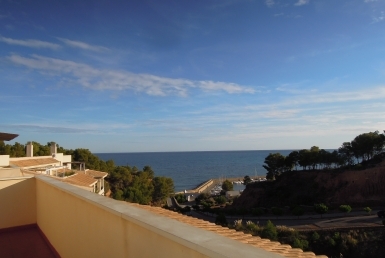 BEAUTIFUL APARTMENT VERY SUNNY WITH SEA VIEWS AND SITUATED IN A QUIET AREA. A luxury at your fingertips with incredible views of the sea and the mountains.